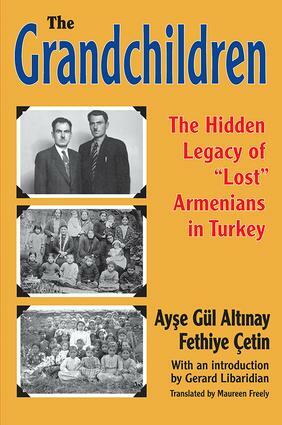 The Grandchildren is a collection of intimate, harrowing testimonies by grandchildren and great-grandchildren of Turkey's "forgotten Armenians"—the orphans adopted and Islamized by Muslims after the Armenian genocide. Through them we learn of the tortuous routes by which they came to terms with the painful stories of their grandparents and their own identity. The postscript offers a historical overview of the silence about Islamized Armenians in most histories of the genocide. Why Did My Father Have No Aunts, Uncles, or Cousins? You’re Living Your Life. One Morning You Wake Up and Go to Your Death. How Can You Explain Something Like That? Why Are There Only Grandmothers? Why Don’t They Ever Have Families? Now Why Would This Sort of Person Tell a Lie? Can I Look at the History of Ordu through My Grandmother’s Story? Unraveling Layers of Silencing: Where Are the Converted Armenians?